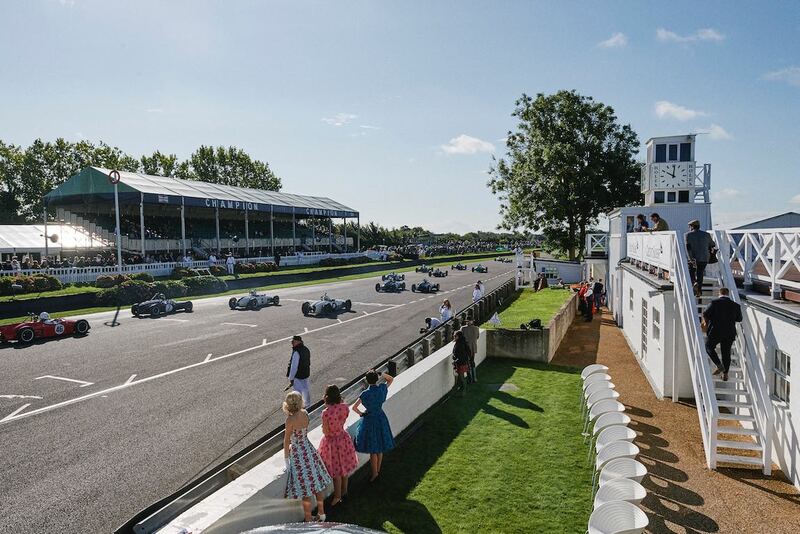 Spectators set aside their binoculars and drivers hung up their helmets on Sunday, September 10th as the Goodwood Revival 2017 in Sussex, England rounded off an enchanting summer of British style and sporting tradition. 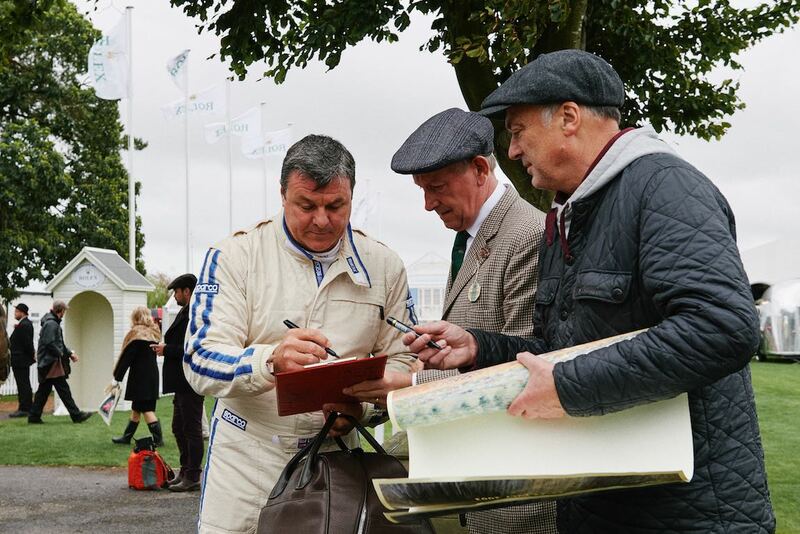 The Earl of March’s eagerly-awaited broadcast from the pit lane signalled the finale of this year’s Revival, with crowds gathering expectantly to hear who would take home the acclaimed “Rolex Driver of the Meeting” award. 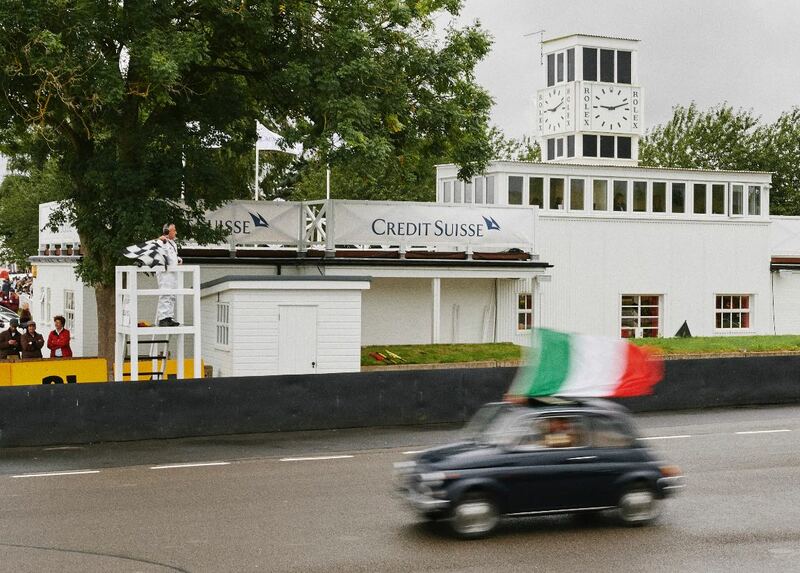 Each morning a colourful parade of over 125 Fiat 500 models opened the 2017 Goodwood Revival, which celebrated 60 years since the memorable 1957 British Grand Prix at Aintree when Sir Stirling Moss and Tony Brooks won an extraordinary race — the first and last time two drivers shared a Grand Prix victory. 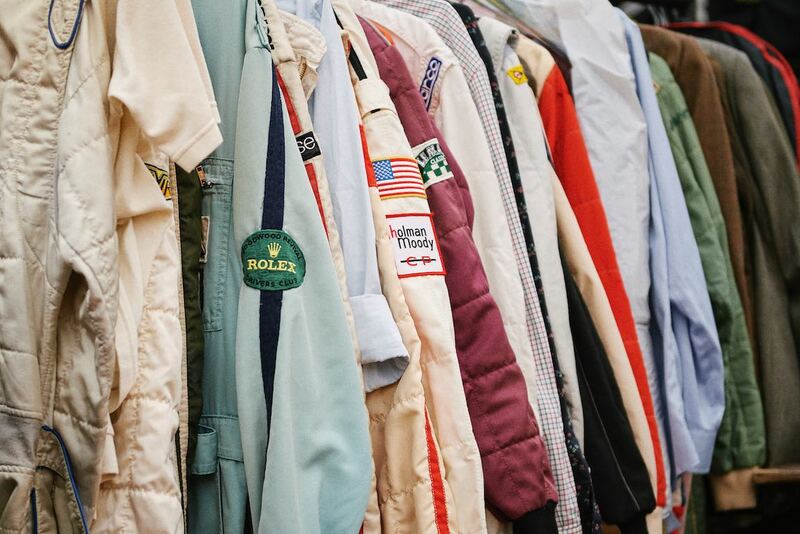 Off track the “Revival Emporium” took centre stage with a series of flamboyant catwalk shows throughout the weekend, bringing the vintage flair of the 1940s, ’50s and ’60s to life. 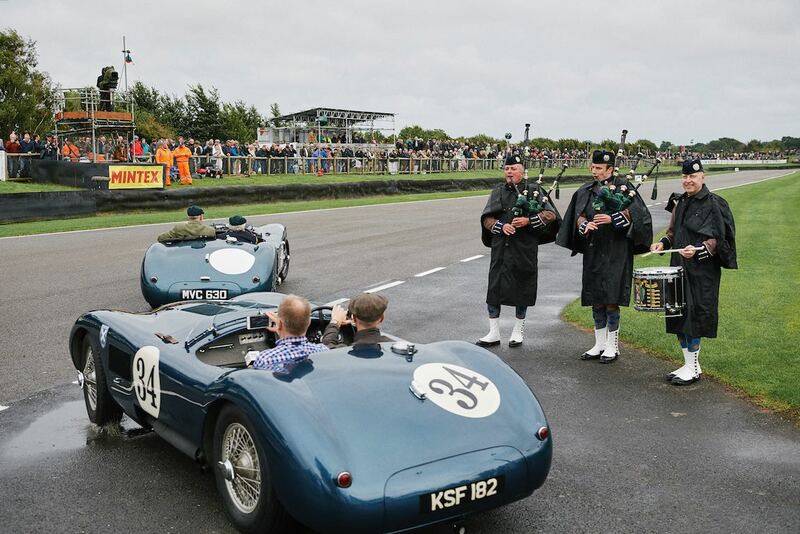 Tartan was the overriding theme of the event and visitors took to the grid dressed in kilts as a special tribute to the Scottish Ecurie Ecosse team, which twice won the 24 Hours of Le Mans with their D-Type Jaguars. 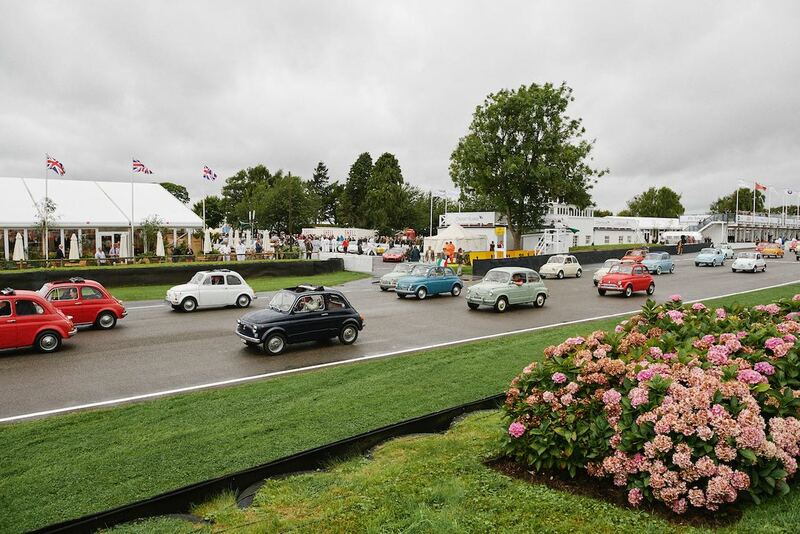 The best-dressed winners parade on Sunday afternoon concluded the fashion extravaganza, offering visitors a chance to model their show-stopping outfits from the weekend. Back to the days just before the overpaid, oversexed, and over here Yanks returned with a vengeance – and their big, thumpin’ V-8s. That ’59 Thunderbird driven here by Tom Kristensen didn’t race in period, did it? 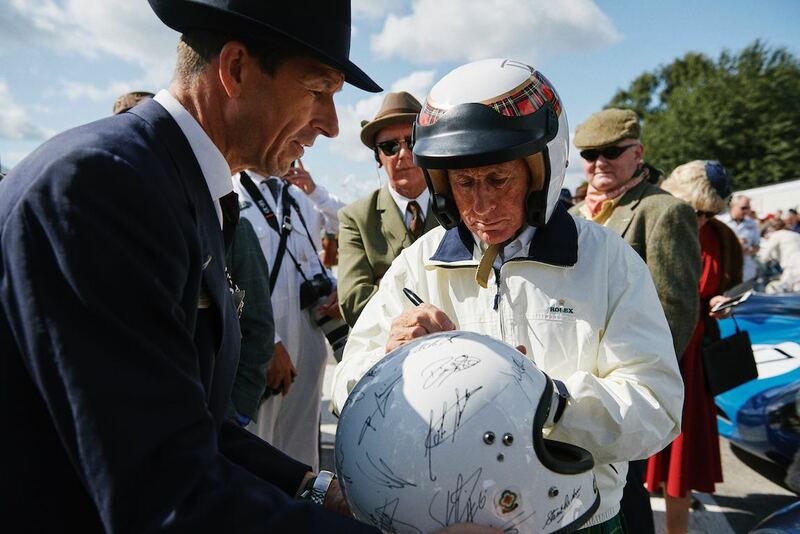 I do remember Dan Gurney racing a 409 ’61 Chevrolet against the Jaguar saloons, though. It is good to see the single seater racing cars with no wings and protusions at the front,, like today. 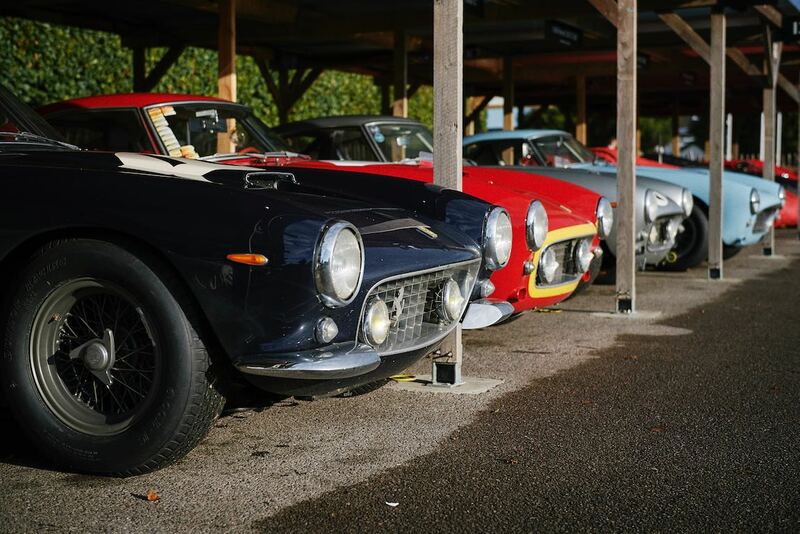 With the wide “slick” tires today there is no need to have them…..let the skill come-back to the drivers for these modern cars.